This last month has seen some momentous shifts in the journey towards road cars becoming zero emissions and one can't help but speculate what impact this is going to have in the long term on motorsport in general and F1 in particular. Volvo announced it would soon stop making petrol and diesel cars, the UK government joined other European governments in setting a date by which the sale of new petrol and diesel cars would be banned; 2040 in the case of the UK. These moves are being replicated by governments around the world and will be replicated by other manufacturers, giving a clear indication of the direction of travel for the automotive industry. So the question is where F1 fits into this, as the world's most high profile fossil fuel powered race series and what its future will be? Will it eventually be forced to merge or be taken over by Formula E? John Malone's Liberty group owns both series, so has its bases nicely covered. This is the first of a series of posts considering some of the factors around this debate. As the world goes zero emissions, how will motorsport be viewed? One of the most interesting things I've learned in the last few months came at the FIA Sports Conference in June when Vincent Caro, who is responsible for historic racing at the FIA, said that his sector was the fastest growing in all of motorsports. In terms of new entrants, new championships and new licence holders, people are flocking to historic and classic racing. There are several reasons for this: it's much more affordable to buy a 1970s saloon or a pre 1984 Formula Ford than it is to go racing with a modern car. It's simple, cheap thrills at the basic level. The cars are simpler technically so can be tinkered with by enthusiasts, there is a great community spirit around the classic racing scene (witness the immense popularity of events like Goodwood Revival and Silverstone Classic). But crucial for me is the idea of nostalgia that runs through this. In many cases these are men and women who have made a bit of money and want to satisfy their long held dream to 'have a go' so they buy cars from the era in which they first fell in love with the sport. Nostalgia is a fascinating thing and a very powerful emotion. It drives trends in other sectors, especially fashion, art and music. When achievers from each generation reach their late 30s or early 40s and have a wider influence on the world around them, then the period in which they came of age gets a spotlight put on it and there is a revival of some of the things that featured heavily back then. Of course we are now seeing young entrepreneurs like Mark Zuckerberg having a huge influence on the world in his 20s and that trend, downwards in age, could well strengthen. I think nostalgia plays a huge part in how fans follow their passion, as they mature. Many readers here discovered F1 in the 1970s and 80s, when you could bolt a Cosworth engine into a chassis and be competitive. They don't like modern F1 much. Bernie Ecclestone and Max Mosley were always nostalgic for that era, when they came of age as team owners, and wanted to take F1 back to that kind of model. 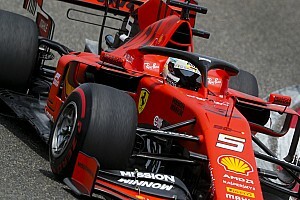 They failed because technology is a wave that you cannot order to roll back and that's why F1 is where it is today with hybrid turbo engines and manufacturers like Mercedes, Ferrari, Renault (and even Honda) in a very strong position in the F1 ecosystem. 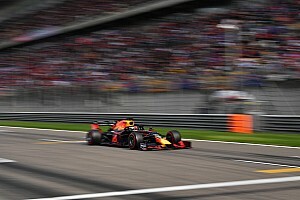 What has to happen next is a long term plan to go from where we are today towards an F1 where the cars are closely matched as they were in the 1970s Cosworth era, but where the sport is also seen to be helping the automotive industry - and by extension society - towards a zero emissions future. It needs to do this both technically and in communications. F1's global platform is spectacularly powerful to tell that story and I suspect that FIA President Jean Todt and F1 CEO Chase Carey have already had discussions on this. For example, the drive to zero emissions will put huge emphasis on charging infrastructure. Qualcomm is a world leader in this and very much part of the journey in FE. It is also a sponsor of Mercedes in F1. Using F1's communications platform to tell the story of how charging infrastructure is being ramped up around the world helps consumers feel more confident in buying an EV and making that switch. But F1 then also has to square that role with the nostalgia of the fans for noisy, outrageous looking cars. And if it ultimately decides to diverge and retain noisy petrol engines (albeit hybrid) as part of the spectacle, then it would be making a big bet that nostalgia would maintain the fanbase. That could sustain quite well for a while; kids today who are taken to a Grand Prix or Le Mans or even the Silverstone Classic by enthusiastic parents, get just as excited by a racing engine, the speed and the smell as did previous generations. As the world's roads become more silent and smog free, the cars more perfect but lacking emotion, there will be a hankering for the old noisy petrol engined cars that can be seen down at the race track. Hopefully the Governments will allow them to continue to race there, even after the roads have become zero emissions. So F1 as a series based on petrol driven engines clearly has a sell by date on it, although interestingly the UK Government has confirmed that hybrids are not part of the 2040 moratorium, only 'conventional' petrol and diesel cars. 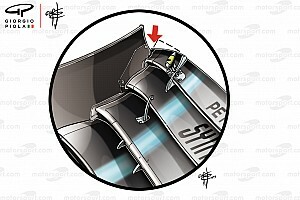 How can F1 be part of the solution, not part of the problem? It's no co-incidence that while all these announcements have been going on at Government level, Formula E has received a massive shot in the arm with Mercedes and Porsche committing to the series, joining other manufacturers in throwing their weight behind the race to go faster and further on a single electric charge. McLaren Applied Technologies, under the project leadership of Rodi Basso, are developing the batteries for Season Five which will do the whole race on a single charge. That will be a game changer and if the story is well told, it will draw a lot of attention to Formula E.
F1 needs to be part of the solution here, not the problem. If the world is going zero emissions, then F1 must surely become obsolete, be overtaken by Formula E, or it must adapt? But F1 has a vastly bigger fanbase, while Formula E has many admirers but struggles to find 'fans', in the sense of passions being ignited. Manufacturers try to sell their EVs speaking of the 'emotion' of owning and driving them, but while they are easy to admire they are hard to love. If Lewis Hamilton, Sebastian Vettel and the Red Bull dynamic duo were racing Formula E cars, would it be exciting? It would if the cars were going much faster and the TV technology were optimised to show it both to fans at home and in the grandstands. That is a journey, a technological journey, as has been the whole history of this great sport.